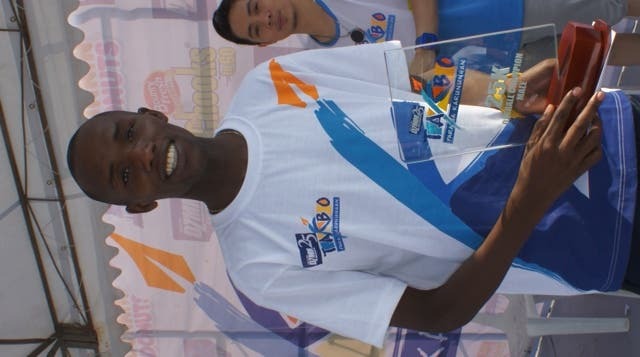 Kenyan runners dominated the DZMM Takbo Para Sa Karunungan fun run yesterday (Mar 13) at the Quirino Grandstand in Manila, where an estimated 4,000 converged to run for the benefit of 25 young Filipino scholars. Twenty-four year old Josphat Kiptanui led the winners from Kenya by finishing first on the 25km race with a time of 1 hour, 19 minutes and 53 seconds (01:19:53). 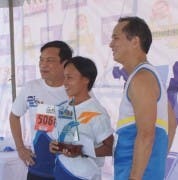 Filipina Joan Banayag, meanwhile, ruled the female category with a time of 1 hour, 44 minutes and 43 seconds. Kiptanui’s compatriots Stanley Ting (31:45), James Talcam (31:41), and Eliud Kering (31:15) also took the top three places in the Male 10km race. Female Kenyans Peris Poywo (41:43) and Irine Kipchumba (39:59) led in the Women’s 10km race, while Filipina Janette Agura (43:11) completed the top three. 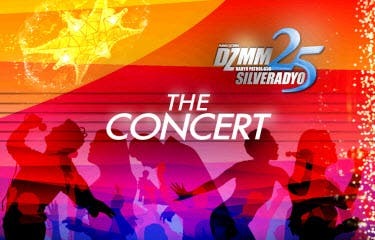 This is the 12th year of the annual fun run of DZMM, which is also celebrating its 25th year on air in 2011. ABS-CBN Chairman Eugenio “Gabby” Lopez III, ABS-CBN Manila Radio Division Head Peter Musngi, former Vice-President Noli “Kabayan” De Castro, and singer-actress Karylle were among the celebrities who took part in the fun run. Manila Mayor Alfredo Lim also came to show his support. The other top finishers are: Willy Rotich and Nhea Ann Barcena in the 5km race, Jaime Cruz Jr. and Daisy Cabilin in the 3km race for ages 6 to 9, and Joshua Ricaflanca and Lovely Morena for the 3km race for children 10 to 12 years old. For the special awards, the Department of Environment and Natural Resources was awarded Biggest Government Contingent with 175 runners while the Biggest NGO contingent was Pasigandah with 208 runners. STI Taft also had 30 runners to win the Biggest School Contingent. The top male and female student finishers in the 5km race were Fernan Nakila (18:10) and Michelle De Vera (23:06), while the Oldest Runner this year was 85-year old Felix Belarmino, who also ran in the 5km race. DZMM will select the 25 beneficiaries of the Takbo Para Sa Karunungan with the help of the Department of Social Welfare and Development and the ABS-CBN Integrated Public Service. kala mo kung sino magsalita toh, ei kung makapandaot din naman kau s taga abs, ganun ganun n lang din, we just go with the flow, survival of the fittest toh teh, ang pikon, tsupi!!!!!! Hi there! Do you know somebody who needs a part/full time job? pls refer them to me. I’m into an Advertising Business and i need people who want to earn extra. I am preparing to open new centers in Cebu area and Manila Area. just willing to be trained, has a good positive attitude and excellent listening skills. *Im also open for long distance business venturers. Boboserye, Copyserye, Flopserye, Peryaserye, Pornoserye, O.A.serye, T.H.serye, etc. “Self-Proclaim”, heto rin ang paraan ng gma para i-promote ang sarili. Dahil sa PERA, nawala tuloy prinsipiyo. Pera-Pera lang po mga kapuso. buti pa si gabby fit na fit,nakakainggit.Haynaku sasali na lang kayo ako sa biggest loser,tingin nyo guys?